Sitting on the banks of the River Avon, Stratford is a market town in Warwickshire. With a population of around 27,500 and some lovely housing in the area, it has a thriving property market. At My Home Move Conveyancing we’ve been improving our knowledge of local markets like the one in Stratford since 2001, enabling us to deliver a specialist, fixed fee conveyancing service to our clients in the area. If you want to buy or sell property in Stratford, you need to instruct property lawyers to complete the legal work for you. 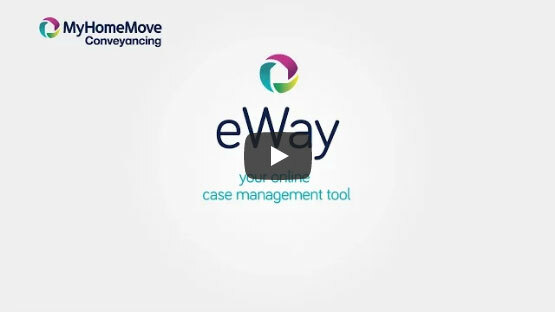 My Home Move Conveyancing offers an award winning level of customer service, intimate knowledge of the local market and an innovative use of technology. Our professional conveyancing service comes for a fixed fee, so you know how much you’re going to pay right from the start. There are no extra charges or hidden fees to worry about when you choose us to be your Stratford conveyancers. And thanks to our ‘no completion – no fee’ policy, if you don’t end up moving for some reason, you won’t have to pay us a penny in legal fees. You’ll be assigned a dedicated conveyancer who’ll oversee everything for you, looking after all aspects of your case from start to finish and regularly providing clear updates on your progress. You’ll also have online access to your account, so you can check up on things whenever you want. We’re proud to provide our conveyancing services in Stratford to homebuyers looking for a variety of properties across the area, whether you want to be in the town centre, near the train station, or by the River Avon in the Old Town area. The average house price across the Stratford-on-Avon district is £309,485, with the overall average sale price in the town of Stratford itself at £343,890 over the past 12 months. Most sales in this period involved detached houses, which went for an average of £510,299, while semis fetched £306,436 and flats sold for £214,301. Stratford was first inhabited by Anglo-Saxons after the region later known as Warwickshire was invaded in the seventh century, although it remained a small village until the end of the 12th century. The thing that Stratford is most famous for is that it’s the birthplace of William Shakespeare, and plays host to the Royal Shakespeare Theatre, drawing millions of visitors each year. As well as great culture and amenities such as the Maybird shopping centre, there are some excellent schools in the town for families with children to take into account. Stratford-upon-Avon Primary, Welford-upon-Avon Primary and Alveston CofE are all among the options for younger pupils, while top secondary schools include Stratford Girls' Grammar and King Edward VI School, which is where Shakespeare himself is thought to have gone. Stratford is less than 30 miles away from Birmingham, which can be reached in around 50 minutes by train. The M40 motorway passes not far from Stratford, providing easy access to places like Oxford and London to the south. When you want to go on holiday, Birmingham Airport is the closest major airport to town. All properties in Stratford will fall within one of the following council tax bands.